L I V I A: [NEW RELEASES BY RIMMEL LONDON] FEAT. BROW THIS WAY HIGHLIGHTING PENCIL + GOOD TO GLOW HIGHLIGHTER - SWATCH + REVIEW! 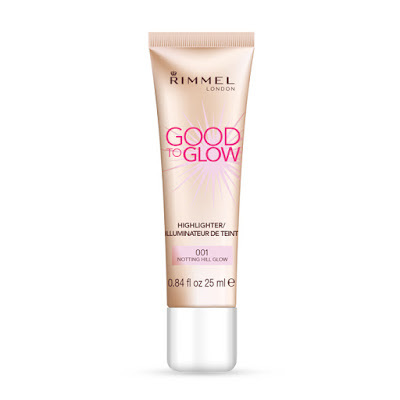 [NEW RELEASES BY RIMMEL LONDON] FEAT. BROW THIS WAY HIGHLIGHTING PENCIL + GOOD TO GLOW HIGHLIGHTER - SWATCH + REVIEW! 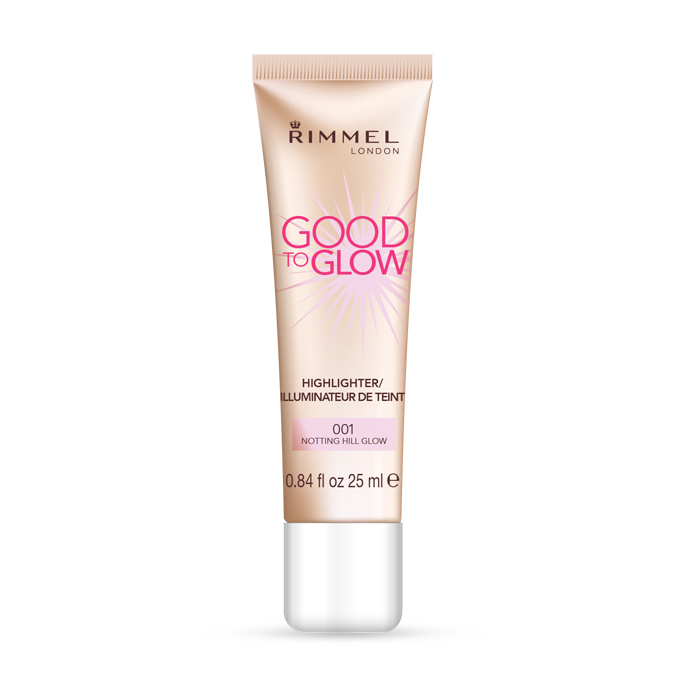 Rimmel's new releases for August includes their Good to Glow Highlighter and Brow This Way Highlighting pencil. Get excited guys! That's right...this month it's all about the highlighting action. I was actually quite excited to learn that Rimmel London have released their highlighting products this month. They are so affordable and do a decent job in providing your facial features with that 'glow'. You really can't go wrong with Rimmel London's products. Highlighters are an effective tool to use on your face should you be wanting to opt for that natural look. It will leave your face with that glowing (candlelight) effect...so if you're wanting to rock that subtle look, be sure to invest in highlighting products that can do the job for you. You can use a highlighter on your cheekbones, brow bones, above the eyebrows, down the nose and even right on the bow of the lips. So we have two products by Rimmel London being launched to their 'highlighter' range being the Good to Glow highlighter and the Brow This Way Highlighting pencil. They are definitely fun products to play around with and definitely add an instant touch to your glow. Check out my full review on both of these products below to learn more. Also, for more information about Rimmel London, simply head over here to read more. This product is an instant buildable illuminator and highlighter which is perfect for that special event. It contains light reflecting pigments which help to create a radiant and luminous look. (So perfect for achieving glowing cheekbones). The texture is super lightweight which means that it feels comfortable and can be worn without any issues for the whole day. Furthermore, you can choose to wear the highlighter alone or it can even be blended with your foundation to really give you an overall instant touch of radiance. I prefer to add a little of the highlighter to my cheekbones, to really subtly bring out my facial features. In terms of the shades made available, there are two - the current shade I swatched is in 001 Notting Hill which is their light shade but they also have a darker shade in Soho Glow. Overall, I loved using this buildable illuminator and highlighter as you can even easily wear this on a daily basis if you're wanting that healthy glow during the day. To really define the brows, you're going to want to highlight your brow arch with a brow highlighting pencil. 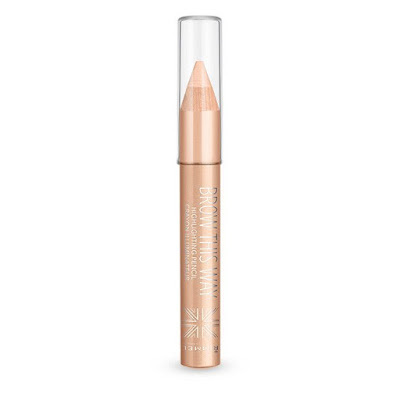 Rimmel London came out with their own highlighting pencil (Brow This Way, Highlighting Pencil), which really does the job in helping to give you beautiful brows and bigger eyes. Simply use the highlighter pencil to highlight your brow bone for an eye impact. The highlighting pencil also comes in a "jumbo size" which means that it allows for an easier and smoother application to your brow bones. The formula is actually soft which means that it's easily blendable. Overall, you can actually also use this pencil as a quick fix for your eyelids, if you're wanting to really add some highlighting shade to them as well. There are so many cool ways to experiment with highlighters and illuminators, it just takes time and practicing. So get practicing girls! Have you guys checked out Rimmel London's new releases? Let me know on what you think guys!